There are so many interesting blogs around and one could spend many hours reading them. I have some of my regular ones in the blogroll at the bottom of the sidebar on the right but I thought I’d show some others that I read on a regular basis. First up is the blog of Californian of designer Monaluna. She has some really lovely designs and it’s always interesting to see what her latest inspiration is. Then there’s Nova at a cuppa and a catch up. She’s showing a really fabulous daisy cushion she made at the moment. And just in case you thought it’s only women who quilt and blog here are two males of the species who do both. 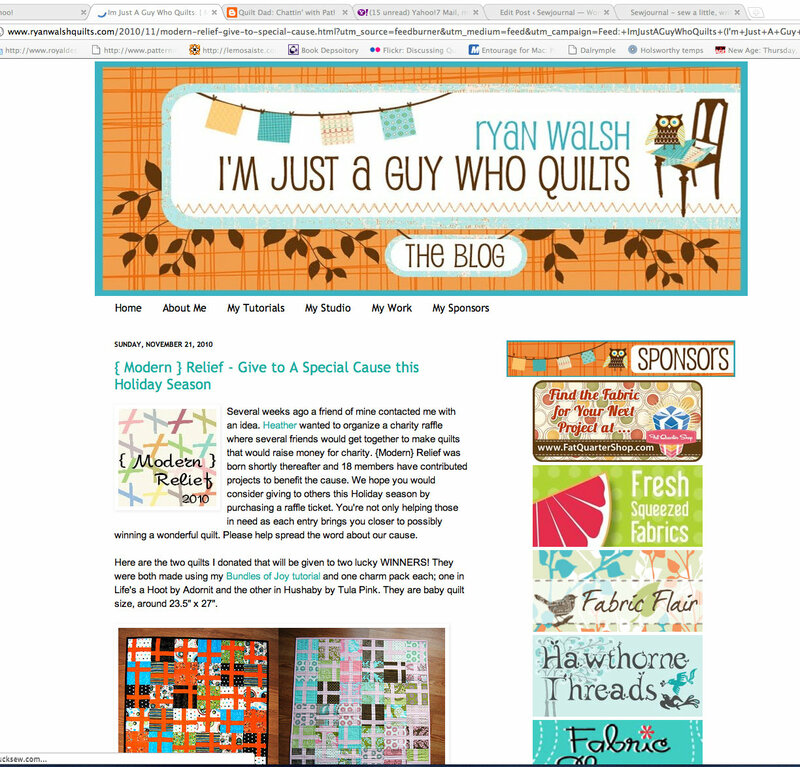 Ryan Walsh at I’m just a guy who quilts and Quilt Dad, John Cary. I’m sure you’ll enjoy reading these blogs. 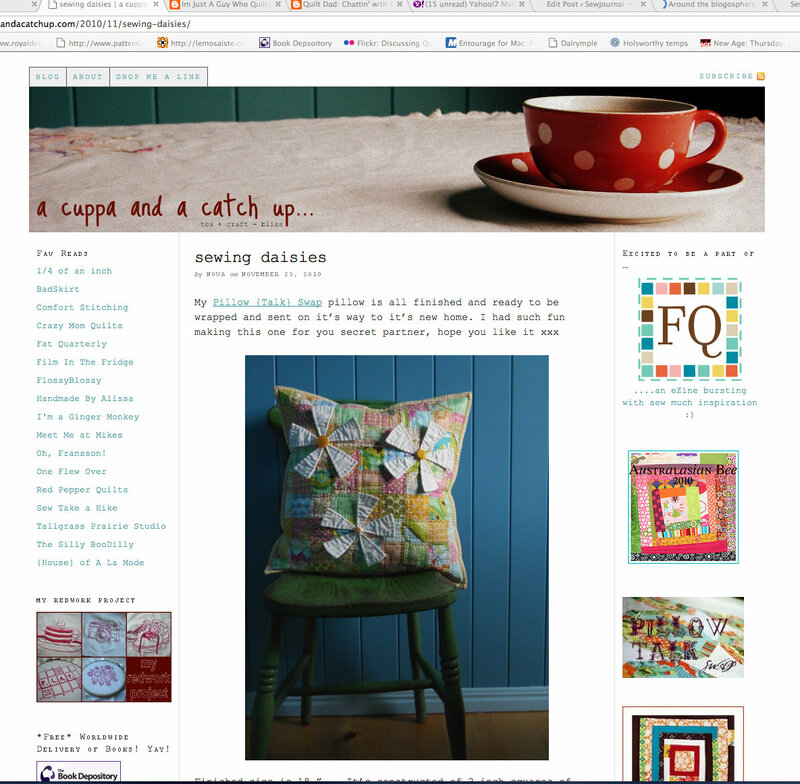 If you visit please tell them that Munaiba at Sewjournal says “hi”.